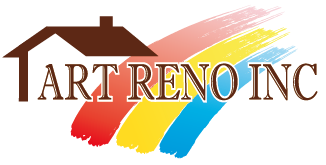 We started Art Reno Inc in response to the need for a reliable and affordable company. We dedicate our professional knowledge to meet clients' demand. We can successfully perform various tasks and fully understand all design, renovation, landscaping and building needs of our clients. Please visit our previous projects and contact us for a free estimate. We provide many options for your home renovation needs. We work with your budget closely to create the best options so you get the most out of our creations. Here is an example of one of our many modern, stylish and affordable kitchen renovation that will not only provide you and your family with a great investment, but personal enjoyment as well. For a free consultation and quote on your next design, renovation, landscaping or building needs, please call us, or send us an email for an appointment. Come visit us at our North York office, or we will gladly come to your resident.For a free consultation and quote on your next design, renovation, landscaping or building needs, please call us, or send us an email for an appointment. Come visit us at our North York office, or we will gladly come to your resident. For the ultimate indulgence in state-of-the-art luxury bathroom renovation: Italian marble inlays throughout, tempered curved-glass shower enclosure, bay window and high cathedral ceilings. All high-tech fixtures for a premium spa experience everyday and anytime, in the comfort of your own home. Our team of experts are here for any of your specific renovation needs. And, if you would like to renovate your entire home, from upstairs to downstairs, from outside to inside, we can do that too: From custom tile designs, to window treatments, we take care of it all.